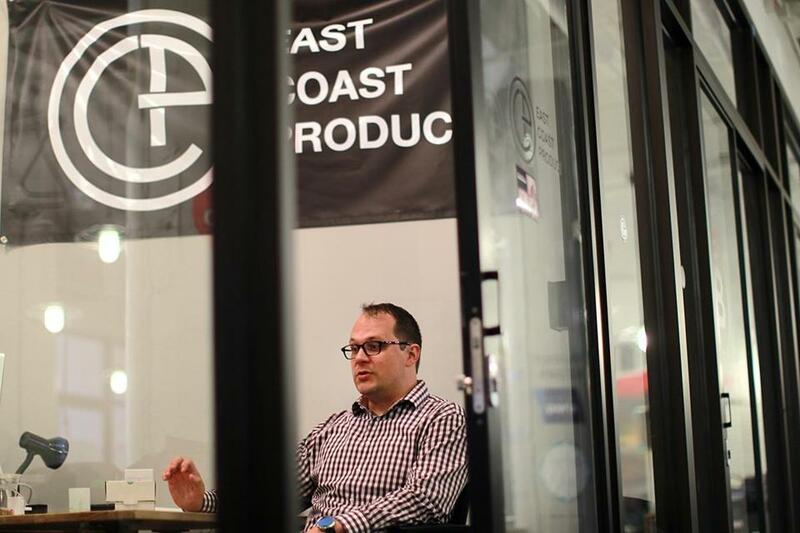 Chris Swenor at his company, East Coast Product. For entrepreneurs, there are many moving parts in a startup. Usually at the top of the list: introducing products faster. Or, as the rallying cry goes, “Innovate or die.” But for the over-extended chief executive, who is also the cofounder, chairman, and toilet-cleaner, winning this innovation battle is costly and time-consuming. This is where Chris Swenor, chief technology officer for hire, comes in. Swenor, the former CTO of the Boston video messaging firm VSnap, created East Coast Product, a Boston accelerator that helps startups develop software applications. Swenor spoke with Globe correspondent Cindy Atoji Keene about outsourcing with an outside contractor to develop products in the digital age. “Building an app is a huge endeavor that can divert a lot of time and resources, and doing it in-house requires hiring engineers and a project manager. By the time a company has its team in place, it’s still a year away from having the software it wants. Having a startup is like building a plane in flight — you make mistakes. “Our team has already learned from all the common pitfalls. I started this company because I saw a huge disconnect between companies and third-party development teams. The typical development shop will get a requirements document from the client, but it’s hard to rely on a checklist as the chief method of communicating a vision. We try to be part of the conversation and figure out what’s known as MVP [minimum viable product] — the least amount of features that a product needs to be successful in an initial launch.